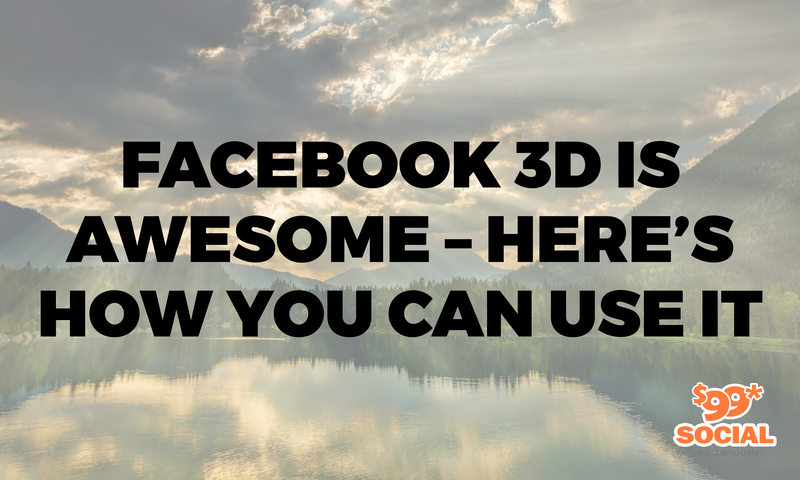 It was only a matter of time before 3D came to the social media, and the wait is over, now that Facebook has rolled it out on their site. The new feature in Facebook makes it possible for anyone to interact with such images in their news feeds, by bringing together the technologies for Augmented Reality and Virtual Reality, and using standard glTF 2.0 images, sometimes called ‘3D JPEGs’. These images and videos would have to be taken with a 3D camera, or uploaded using a 3D app. This new Facebook capability was announced earlier in 2018, with a summer rollout anticipated, and the social media giant has made good on its word. Now that the technology is here though – how can you make use of it? Let’s take a look at some of the possibilities, and why you would want to use them. 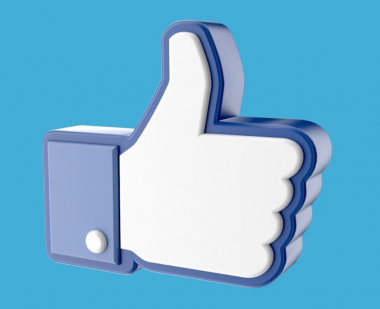 For both businesses and personal users, the whole point of being on Facebook is to interact with others. If you’re a business owner, you want people interacting with your brand, your company, and yourself, if you are a participant. That’s how brand loyalty is built, it’s how trust is established, and it helps to cement connections. It has long been known that interactive content is much more appealing to social media users, and when that content provides features like exciting new rendering methods, lighting techniques, and sophisticated texturing, it’s literally an invitation for people to play with it. If your company can provide users with opportunities to add their own 3D posts, you have a double-win situation, in that you have instant user engagement, and a strong possibility of ongoing interest and brand loyalty. Who doesn’t love the fierce and intelligent creatures from the Jurassic World series of motion pictures? Jurassic World is capitalizing on the universal built-in fascination with the enormous and powerful creatures, by allowing users to interact with posts of popular animals from the movies. Using 3D posts and augmented reality technology, Jurassic World is making it possible for its followers to take a 3D post of ‘Blue’, the super-intelligent velociraptor, into their own images and videos. From there, the images can be re-positioned, made to roar, and move around – all of which thoroughly engages the user. There’s another big benefit to having users generate their own content – it’s much more memorable for users, which means it will stay longer in their minds, and be associated with the company which made it possible. UGC content is also 50% more trusted by other users, giving instant credibility in most cases, to the source and originator of the content as well. Because users will very often share this kind of content, it reaches a much wider audience, and has much greater credibility, coming from a peer rather than a presumed advertising or marketing source. The main thing to remember about user-generated content and providing posts for users to encourage it, is that you’re giving them an opportunity to be playful and creative, which most social media users very much enjoy. The value of that to your company can be priceless – you literally have hordes of people sharing your images and adding their own touches to them. 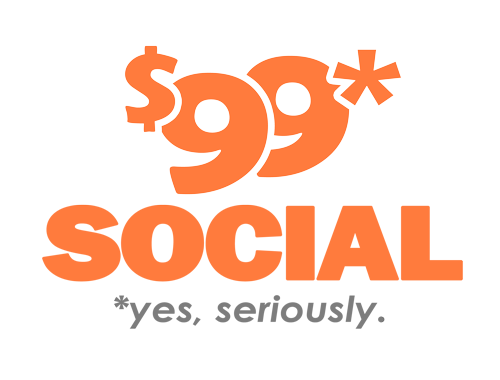 That means your original post can have enormous reach, and it can take on literally hundreds of different aspects, as users apply their own ideas – which you would otherwise have had to brainstorm into existence. Another fantastic way of involving users in your posts is to make the whole experience as immersive as possible, which is one of the primary appeals to VR and AR to begin with. The House of Leather company, COACH, has made use of 3D posts to provide users with a 360-degree, totally immersive video experience during their Fashion Week presentations, as a way of encouraging user participation and enjoyment. The fact that these posts also reveal the behind-the-scenes aspects of the fashion industry is also a big curiosity point with users, who are seldom privy to that kind of access. When people can see that there are real live humans operating a business and carrying out all the necessary tasks, they find it much easier to relate to a company, as opposed to some faceless, nameless entity housed in a tall building. Obviously, there are endless other events which can provide the same kind of user appeal and interest, such as product launches, company events, and showroom tours. This is just a great way of bringing users into the picture, and allowing them to see the human side of a business. Everyone would love the opportunity to see how an easy chair would fit into their own living room, because it can be difficult to visualize that in your head. 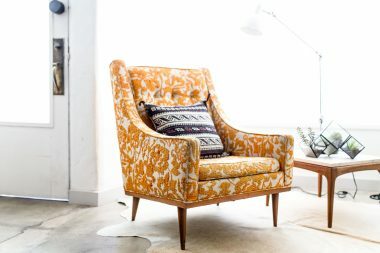 You know what your living room looks like, but you’d like to see how all the accessories blend in with a specific chair you have in mind, and whether or not it would be a good fit. Furniture manufacturer Wayfair has posted some 3D images on Facebook to allow users the opportunity to bring those objects right into their own homes, for that very purpose. What could be a stronger selling point than seeing how nicely a piece of furniture would complement your existing decor? You have the capability of zooming in or out, and exchanging various items to see which ones work best together. This can be a huge benefit to users, because it lets them coordinate accessories without actually making the trip to a physical store, and it avoids the possibility of making a wrong choice that has to be returned later. And of course, the technology benefits the company in a big way, because it acts as an online salesperson, highlighting the advantages of a product from all sides, and demonstrating its compatibility within the user’s home. By giving users the opportunity to visualize how a product might look in their home, you are providing the next best option to having them present in your store with the actual goods.